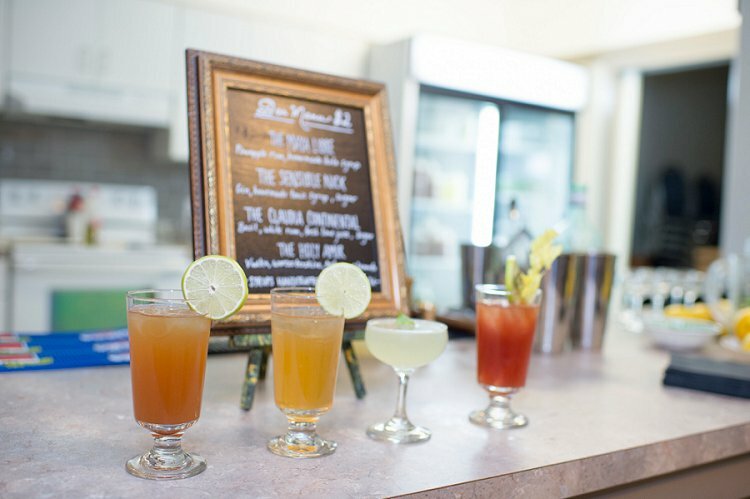 It’s been a bit of a scorching few weeks in our London Smashing the Glass HQ – what we need is someone to fan us with palm leaves… fortunately there were plenty of those to be found at Tamara and Ilan’s wonderful Canada wedding! Psychiatrist Tamara and family physician, Ilan, met when they were introduced by friends and they hit it off immediately. 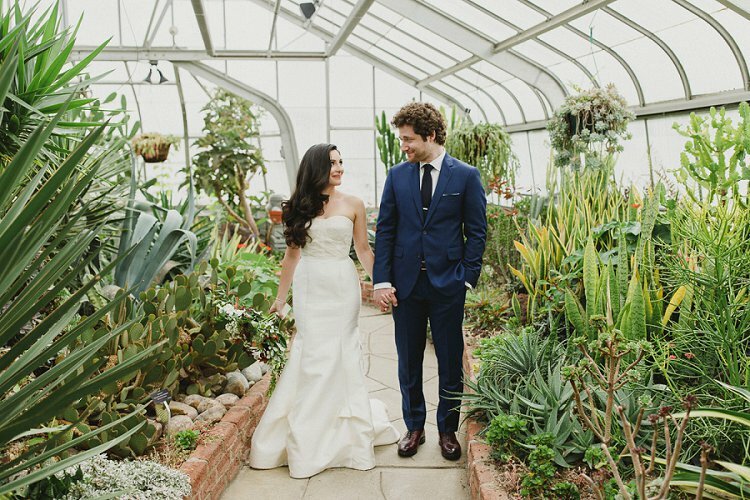 Their synagogue wedding celebrated the very best of their respective ashkenazi and sephardic backgrounds, creating a gorgeous fusion of cultures, set against the backdrop of their palm leaf theme. 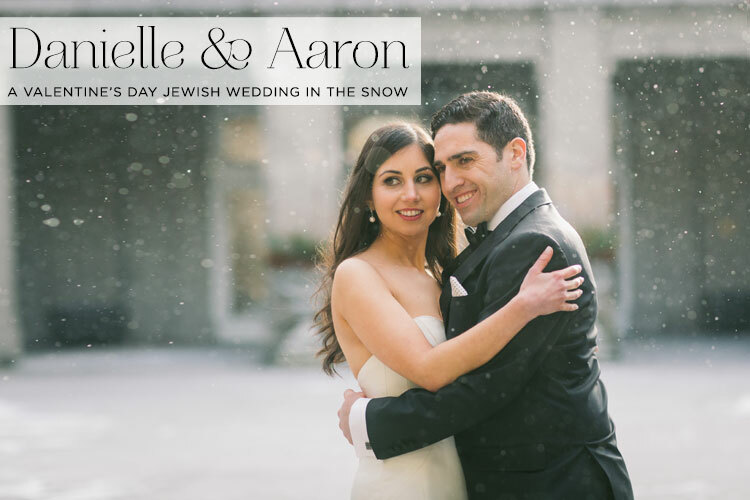 All of the raw emotion of the highly personal day was captured by our fantastic STG Recommended Vendor, Niv Shimshon Photography, who (proud Jewish momma moment) proved to be the couple’s favorite vendor, of course. 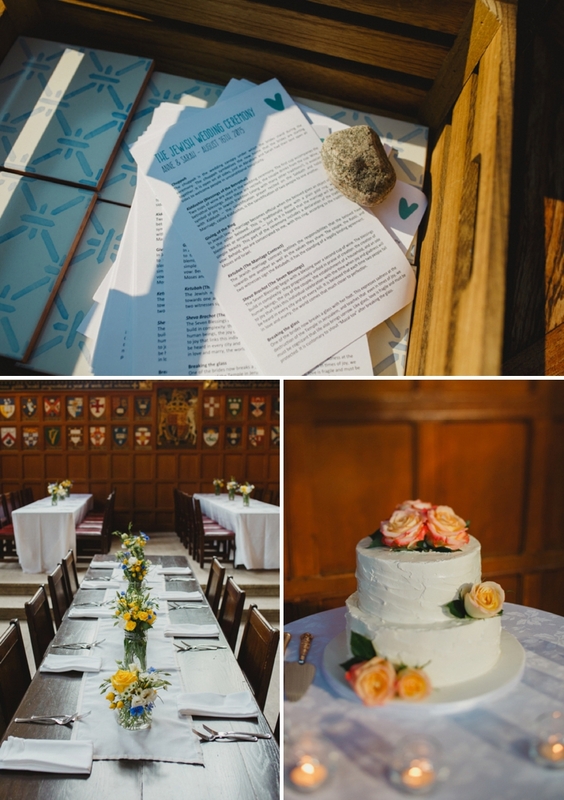 We are big fans of the personalized table names, especially with the provided stories about the meanings behind the name choices – we’re sure we’ll see our STG couples creating their own versions! That’s quite enough from us. 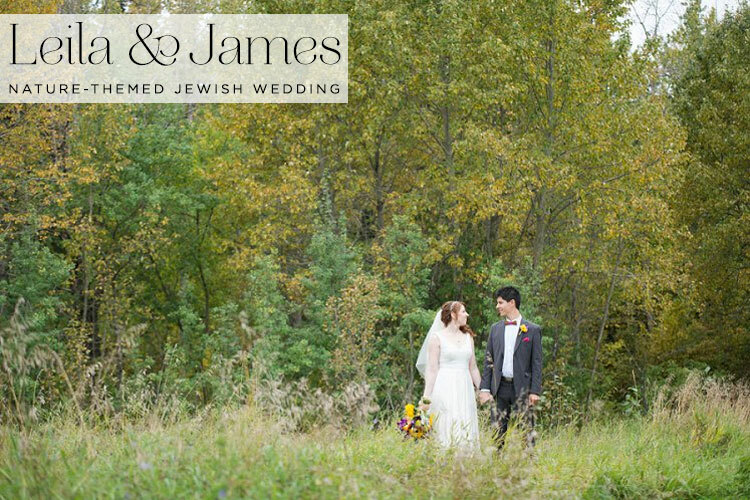 Over to Tamara for the full story on all of her and Ilan’s big-day choices! 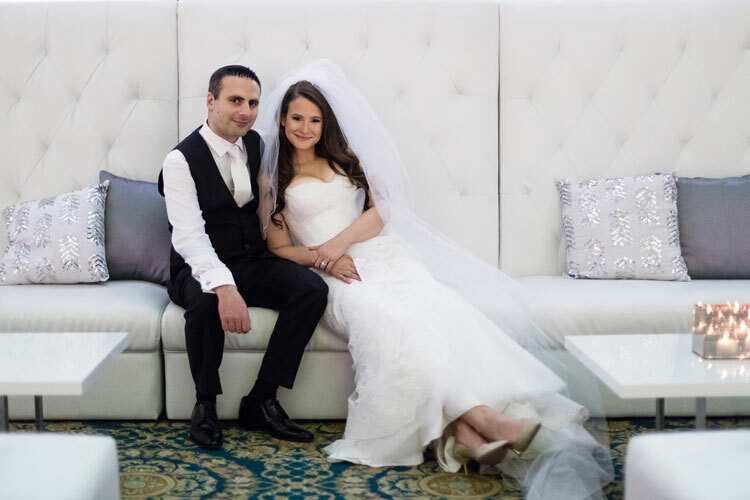 Tamara, the bride: Ashkenazi girl from Dundas, Hamilton, meets Sephardic Iraqi from Montreal! We met three years ago, when we were introduced through two of our close friends, and we continue to feel so grateful they helped us find each other. Our friends (the matchmakers) happened to get engaged the week of our first date, so we actually met for the first time at their l’chaim! We love travelling the world, exploring our neighbourhood, or just ordering dinner, relaxing at home and watching various crime documentaries. 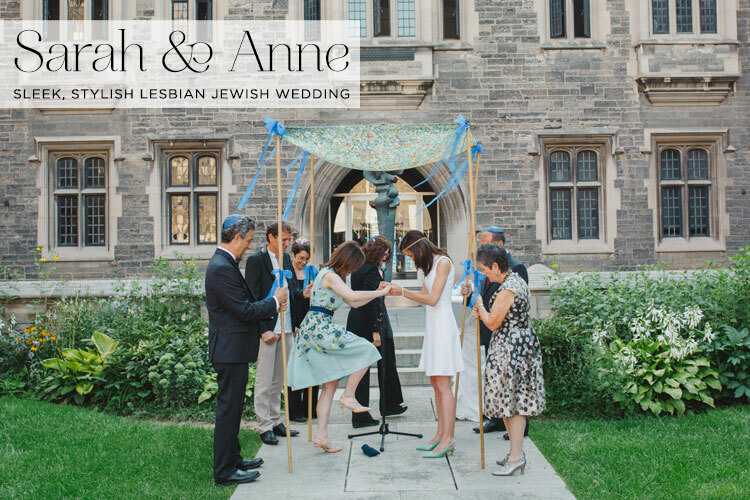 We got married at Beth Emeth Synagogue, Toronto ON. 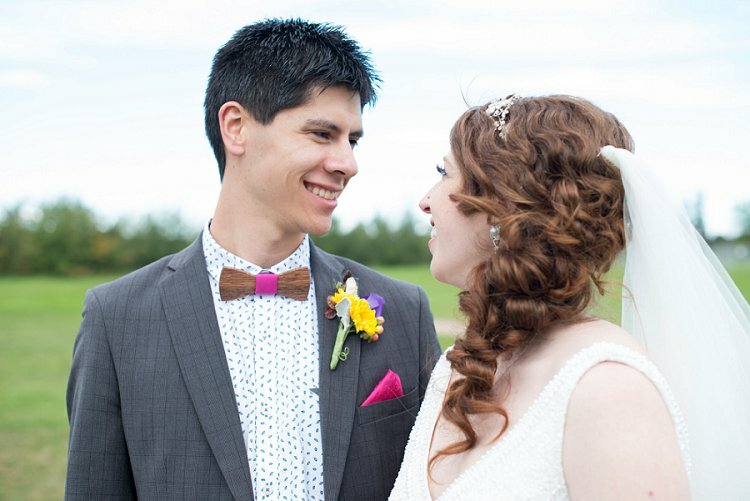 Wrap up warm, everybody, today’s real wedding comes to you from the deepest of winter in Winnipeg, Canada, submitted by beautiful bride, Lindsay. 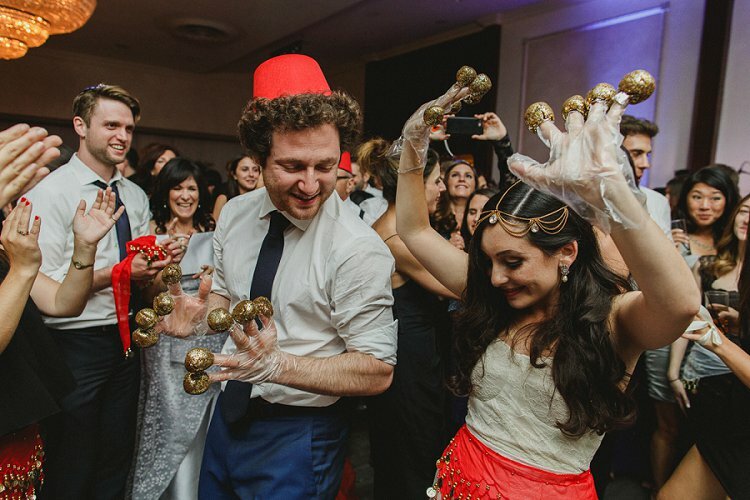 With limited Jewish community resources, David, a doctor (a Jewish doctor – living the dream) and dance choreographer, Lindsay, were determined to plan their perfect modern orthodox day, and through the powers of persuasion, imagination and determination, that’s exactly what they did. David and Lindsay proved that it’s not about what denomination of Judaism you follow, nor how observant you are – at the end of the day, our shared community and spirit is what matters. 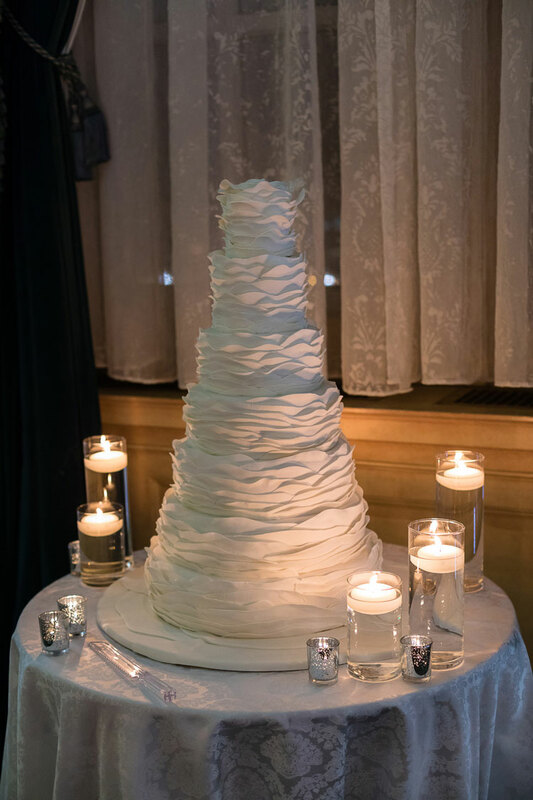 The theme was clean, elegant and white with an abundance of flowers and candles (I mean, look at that chuppah – and the seven-tier ruffled cake. Divine!). It was a small, intimate day with just 75 guests and a heartwarming focus on the importance of family. 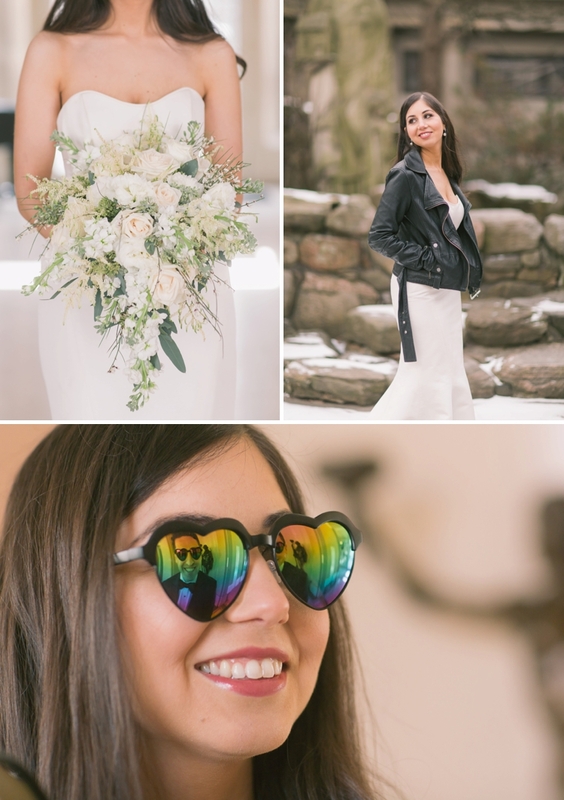 The chic big day was captured by photographer and a close friend of the bride, Kristen Sawatzky. 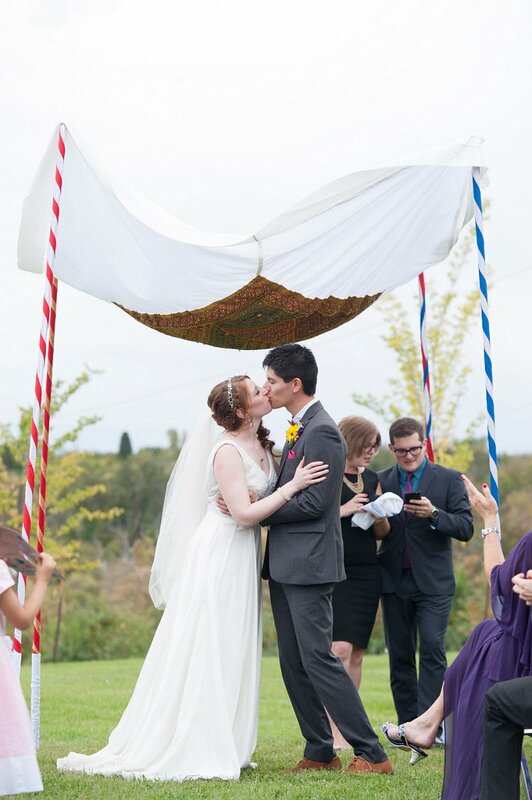 Lindsay looked simply divine in her Monique Lhuillier, with its adorable, quirky bow detail and sheer veil covering her during the chuppah ceremony. Over to Lindsay for the rest of the details – take it away, Lindsay! Lindsay, the bride: How we met was the greatest shidduch, in my opinion. Three separate active Jewish families in the Winnipeg community strived to set up the Jewish doctor from Montreal with a successful professional dance choreographer, Winnipeg born and raised. They all thought we would be the perfect match. After several phone calls and emails, we finally met on a blind date at Starbucks! That was five and a half years ago. Soul mates we truly are, it was completely beshert. Our lives changed for the better and we can’t imagine our lives without each other. 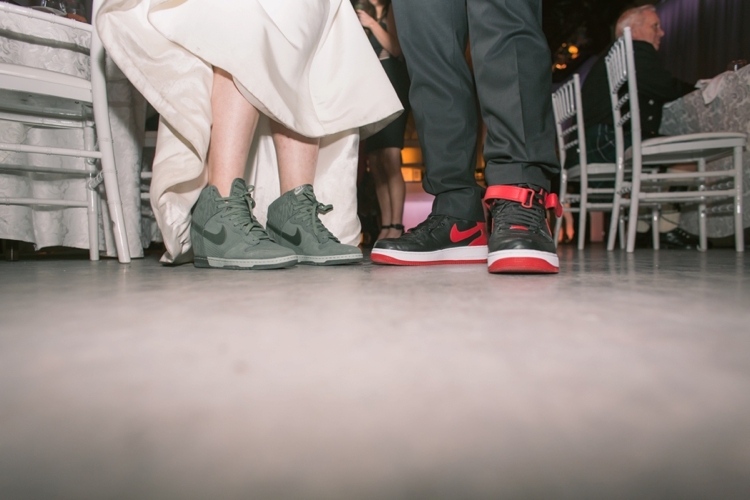 It seems strange to talk about a personalized wedding, given that committing the rest of your life to another human being is about as personal as it gets, so, fundamentally, all weddings are personalized. 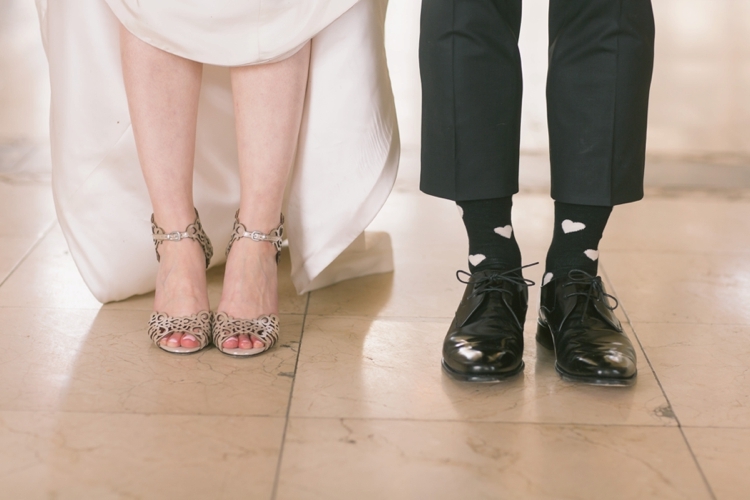 But some couples take it to a whole other level, injecting the essence of who they are as individuals, and a team, into every moment and every detail of their big day. Leila and James did exactly this. The family-oriented pair celebrated their heritage, personalities and interests in each choice that they made. 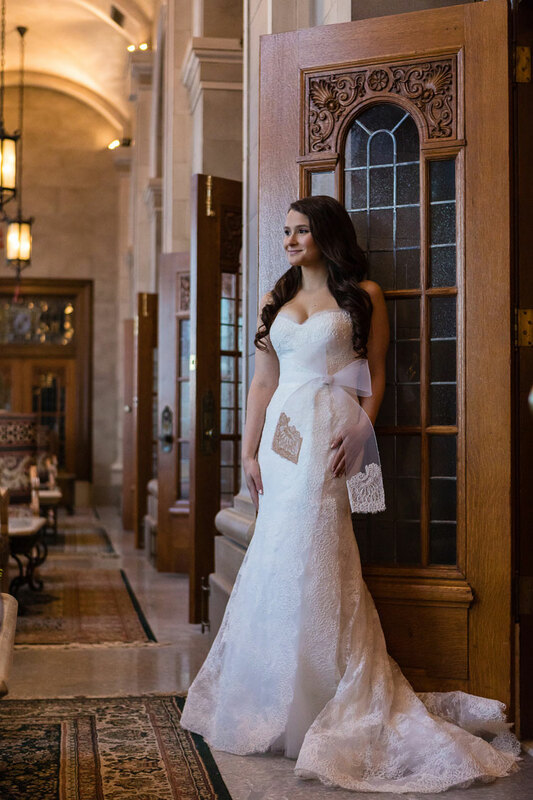 This strong unit, and the love that would surround them as they journeyed on into married life, was evident in every word and every beautiful image by FO Photography. 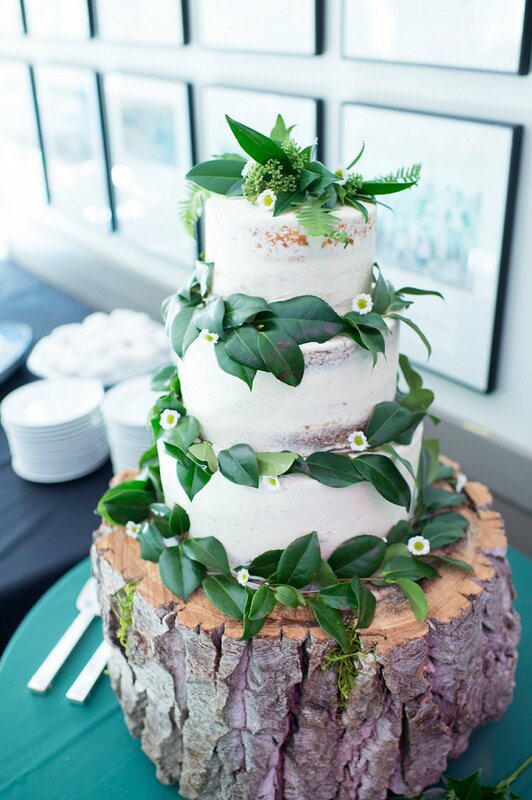 There is no better interior (exterior) decorator than Mother Nature, and the nature-themed wedding brought the best of the outside indoors, with forest-inspired centerpieces (created with a little help from a bonafide zoologist friend). In addition to a personal zoologist, James and Leila’s creative cast of friends helped provide custom cocktails, created by a culinary artist pal, jars of vanilla extract as favours, with the vanilla beans brought back from a trip to Madagascar by a friend, and an international Chuppah, celebrating the couple’s respective heritages, sourced by the bride’s mother. Added touches included HUE lighting to create an atmosphere (used with enthusiasm by the couple at home) and personalized vows, with the subject matter and key themes in common, but the final content as a surprise for one another..
We’ll hand over to beautiful bride, Leila, for her report on the big event. Take it away, Leila! First and foremost, our wedding decorator was amazing. 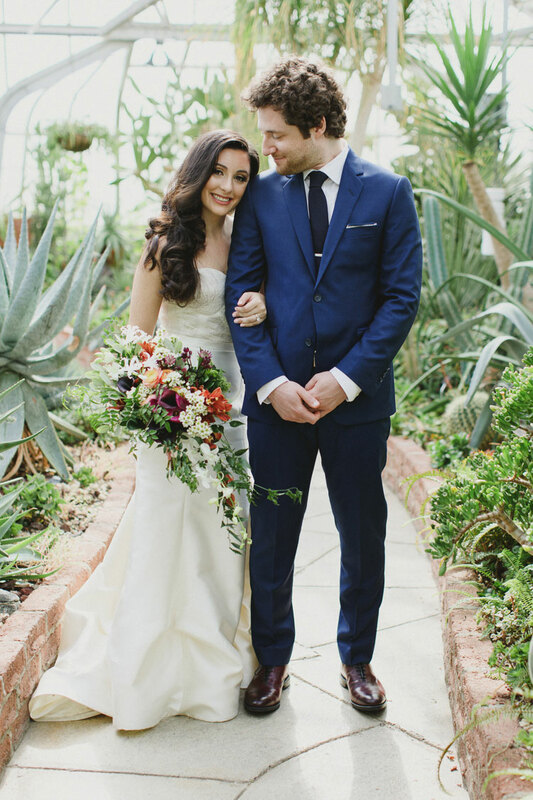 She is a good friend of ours, and worked with our limited budget to make our wedding incredibly beautiful. She is the artist behind ID Bohemia and she did an amazing job. She helped us navigate all sorts of unknown channels, and we are so grateful for her friendship and her artistic eye for design. We had a nature theme, and our colours were green, gold and fuscia. I couldn’t name this blog anything but smashing the glass. 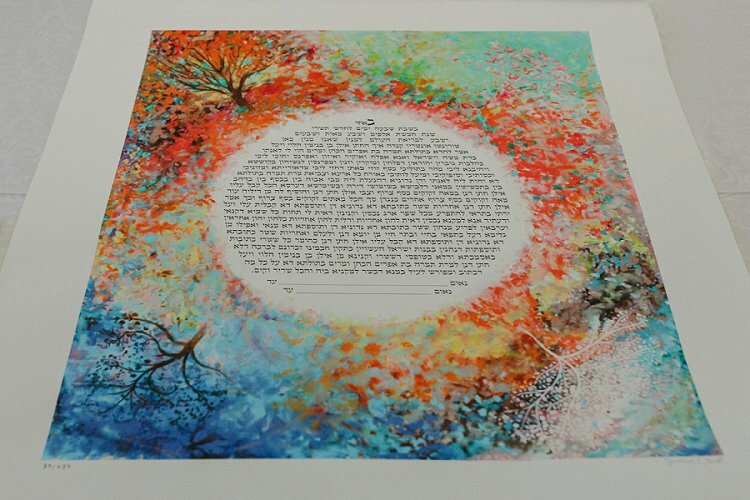 It is THE moment of a Jewish wedding and images like the one above just make me so happy. 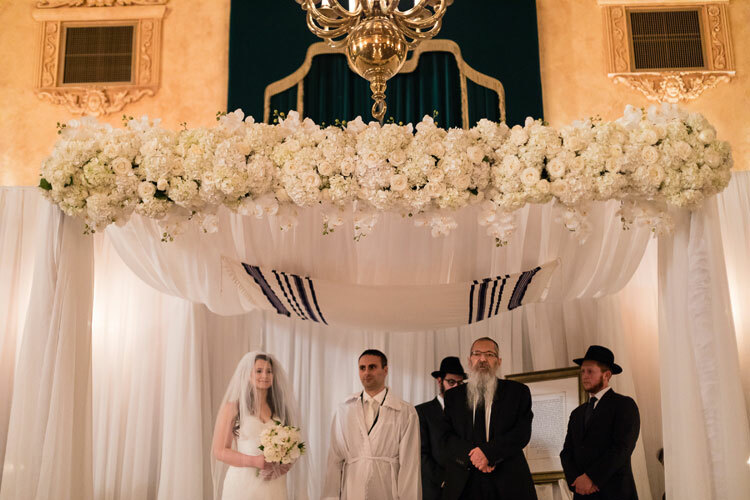 Two beautiful women, crazy in love, performing this hugely symbolic tradition under a gorgeous chuppah. I’m telling you, one of the best things about this job is definitely how uplifting it is to look at images like these. And like all the real Jewish weddings on Smashing The Glass, this W-Day is completely refreshing. Both brides chose to forgo the traditional wedding dress style in favour of a two super sleek and contemporary creations by Carolina Herrera and Judith and Charles respectively, accessorised in Anne’s case by the most delicate headpiece. And that’s not the only thing that has me swooning. There are gorgeous dainty florals and rustic table runners by GLP Events that not only look delightful (Anne wanted a simple arrangement of flowers that reminded her of the fields in the small French village where she grew up), they’re cost-effective too. And the guests…well if the photos at the end of the night are anything to go by, then it’s clear that everyone had a darned good time! Back with a bang for his 3rd feature on STG, Niv Shimshon has captured the mood perfectly with these terrific shots. Prepare to swoon. 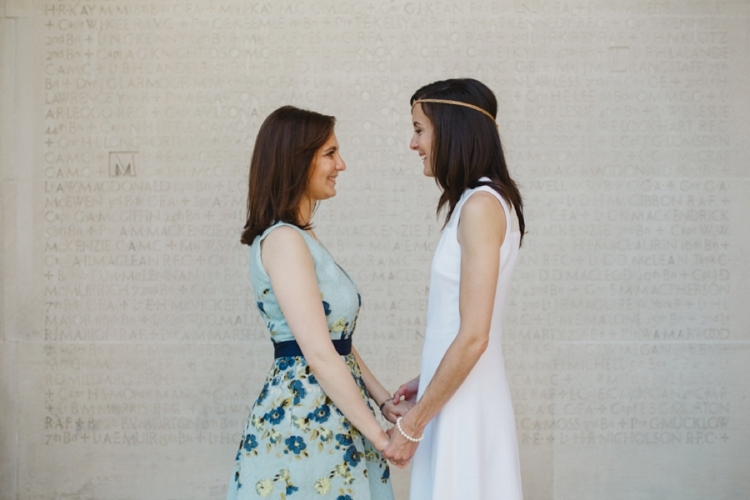 Sarah and Anne, the Brides: We met one cold winter’s evening in Montreal and have been together nearly every day since. On the night we met, Anne was sick with a nasty flu. Sarah, a germophobe, knew it was love at first sight because she didn’t want the date to end despite Anne’s coughing, sneezing, and significantly high fever. Anne is calm, cool and collected, and Sarah is witty, funny, and shows pictures of her dog to strangers every time she has a chance.